This talk interleaves repair research across two contexts. Beginning first with Kampala, Uganda – a site where networks of mobile telephony have rapidly expanded. What kinds of inventive infrastructures do mobile phone repair technicians assemble? They corral circulating parts, tools, techniques and hacks – working outside of “authorized” networks sanctioned by mobile phone designers. 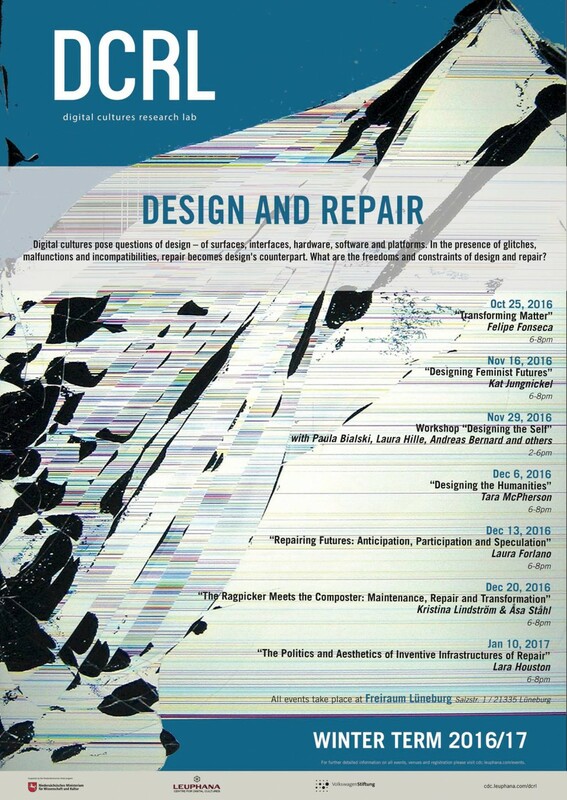 Moving to the USA, the talk explores the current policy and legislative context for consumer electronics repair. What kinds of closures restrict the formation of lively and sustainable infrastructures of repair? Several examples demonstrate how manufacturers and regulators foreclose repair through design-led physical closures, corporate practices and legal frameworks. How are emerging “right to repair” movements in the USA making claims for a different role and status for repair work?